Fusing astonishing stunts with enchanted adventure, Circus Abyssinia follows the journey of two little Ethiopian brothers whose dream of joining the circus becomes a joy-filled reality. The boys are plunged into a world of daredevil wonders, where they encounter a host of other circus dreamers: dancing, contorting, gravity-defying figures, all weaving tales of their own. Featuring the inimitable Abyssinia Troupe, this show is a fantastical retelling of how the cast dreamed of the circus in a country without one and came together to create a phenomenal new Ethiopian tradition. Since moving to the UK at just 13 and 14 years old, Ethiopian brothers Bibi and Bichu have juggled in thousands of shows in dozens of countries, in events spanning the spectrum of the arts, from children’s TV to award-winning opera. 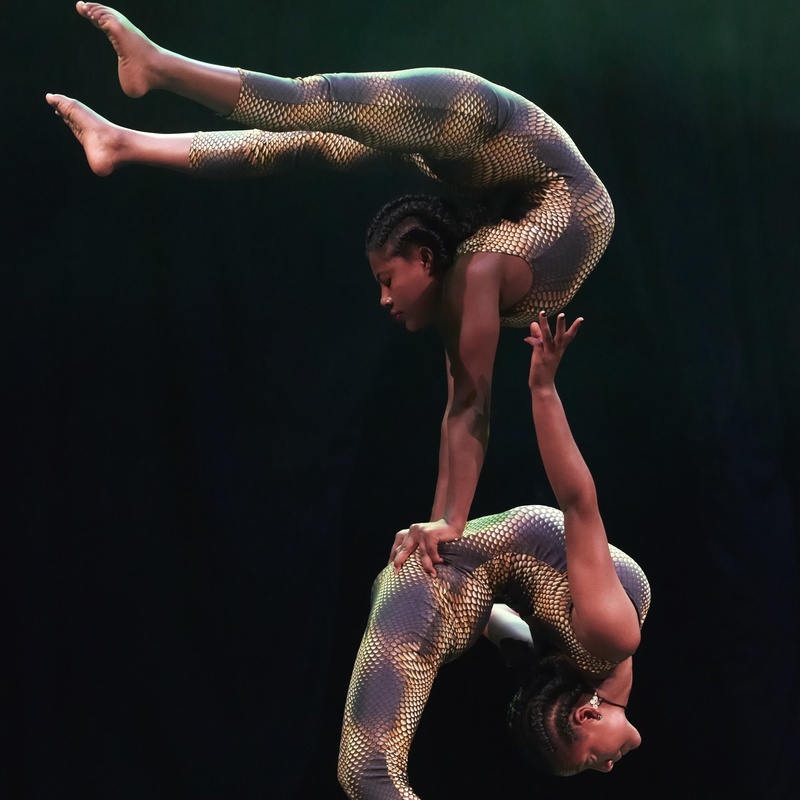 They've also worked hard to support other Ethiopian artists; since 2010, they’ve funded Circus Wingate, an Ethiopian circus school that though explosive with talent was so sorely lacking in funds it was about to close. It was there Bibi and Bichu discovered a troupe of incredible acrobats who started out like they did, honing their skills with no expectation of pay on city streets. In 2017 the brothers established their own company and teamed up with this troupe to create their own circus, the first circus created by and for Ethiopian artists: Circus Abyssinia.